Honey, unlike almost everything else we consume in our diet, was intended solely to be a form of nourishment – albeit, for the bees. 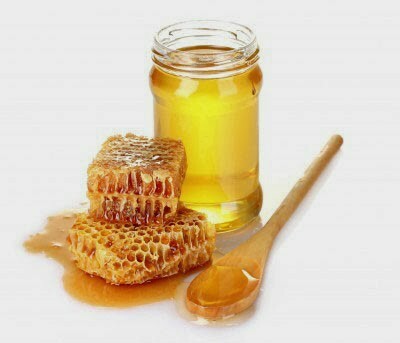 Honey is far more than a source of sweetness and quick energy within the human diet. Feeds the good bacteria: it is a little-known fact that bees have a diverse population of beneficial lactic acid bacteria (LAB) in their honey crop, the bulge between the esophagus and the gizzard of the bee. In fact, according to newly published research in PLoS, "studies of LAB in all extant honeybee species plus related apid bees reveal one of the largest collections of novel species from the genera Lactobacillus and Bifidobacterium ever discovered within a single insect and suggest a long (>80 mya) history of association. Indeed, raw honey feeds good bacteria. It has been experimentally demonstrated in in vitro (petri dish) conditions to increase the number of Lactobacillus acidophilus and Lactobacillus plantarum counts 10-100 fold compared with sucrose. Fights the "bad" bacteria, i.e. MRSA: Reports of honey eradicating MRSA infection have been reported in the medical literature for well over a decade. MRSA, an acronym for methicillin-resistant Staphylococcus aureus, produces a biofilm which makes it especially resistant to conventional antimicrobial agents. Honey has been shown to be effective at killing biofilm-associated MRSA isolates from patients suffering from chronic rhinosinusitus. This has also been demonstrated in human research, with a 70% effective rate in destroying MRSA in chronic venous ulcers. Moreover, honey also synergizes with conventional antibiotics making MRSA bacterial isolates more susceptible to their antibacterial action. Kills Dental Plaque-Causing Bacteria: Manuka honey, a special honey produced by the flowers of the manuka plant that grows in New Zealand and Australia, was shown at least as effective as the chemical chlorhexidine gluconate, often used in mouthwash, in reducing plaque formation as a mouthwash. Superior to Pharmaceutical at Killing Herpes: A 2004 study published in the Medical Science Monitor, showed that topical honey was far superior to the drug acyclovir (trade name Zovirax) in treating both labial (lip) and genital herpes lesion. According to the amazing study "For labial herpes, the mean duration of attacks and pain, occurrence of crusting, and mean healing time with honey treatment were 35%, 39%, 28% and 43% better, respectively, than with acyclovir treatment. For genital herpes, the mean duration of attacks and pain, occurrence of crusting, and mean healing time with honey treatment were 53%, 50%, 49% and 59% better, respectively, than with acyclovir. Two cases of labial herpes and one case of genital herpes remitted completely with the use of honey. The lesions crusted in 3 patients with labial herpes and in 4 patients with genital herpes. With acyclovir treatment, none of the attacks remitted, and all the lesions, labial and genital, developed crust. No side effects were observed with repeated applications of honey, whereas 3 patients developed local itching with acyclovir." Protective Against Gastric Damage: Honey has been shown to prevent alcohol-, indomethacin- (a NSAID pain-killer) and aspirin-induced lesions. Get Pure, Raw Honey from KISST Organics!